Celsius Thermal Performance Glass has a unique micro-coating which enables it to deflect excessive heat from the sun away from the orangery and to reflect heat from inside the home back into the property. 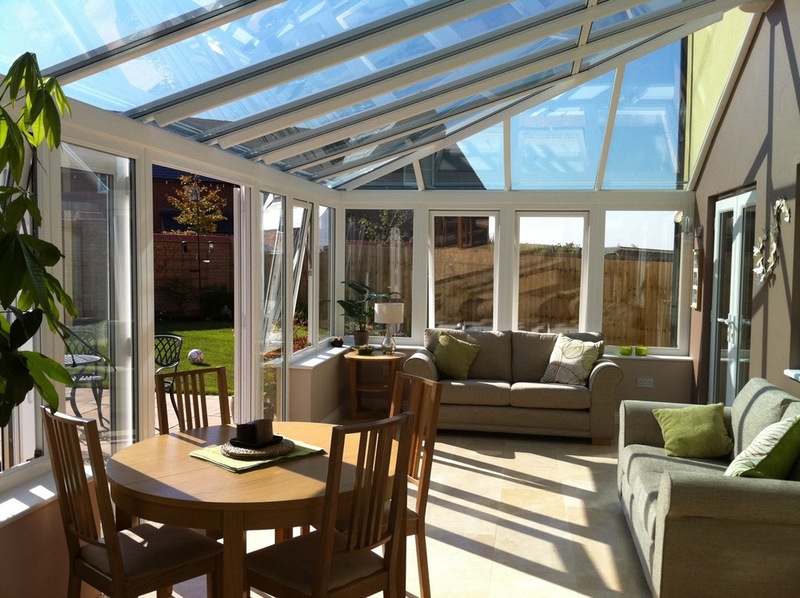 In this way, Celsius keeps orangeries warm in winter and cool in summer, helping to create a room for all seasons. Further benefits include increased sound insulation, a subtle blue tint to minimise glare and a special easy clean coating which reduces the need for manual cleaning. Plus, with Celsius, you enjoy a clear view through the roof and benefit from the feeling of light and space that a glass roof brings.